Sad news from Natalee Caple yesterday, that Toronto writer Priscila Uppal died early on Wednesday morning, after a lengthy battle with cancer. Natalee Caple had been good enough to provide a head’s up a few days prior that she was in palliative care at the Princess Margaret Hospital, and passed along to her as much love as we could offer. Our deep condolences go out to all that cared for her, and were touched by both her generosity and example. I’m not even sure when or how exactly I met Priscila and Chris. Somewhere in the later 1990s, I would suspect, immediately attracted to their warmth, openness and generosity, and I crashed with them more than a couple of times during a variety of Toronto stays, in at least two houses and one, if not two, apartments (my favourite was the Annex two-bedroom apartment; Chris’ desk was beside the couch in the living room where I slept, and the second bedroom housed Pris’ extensive collection of clothes, extensively curated and collected from years’ worth of thrift). Raised in Ottawa by a single father, Priscila Uppal was fierce, energetic and utterly delightful, easily a light in any room, and lived the kind of community that most simply dream of, working to connect interesting and like-minded people. We spent time at the Art Bar, I attended the occasional Exile event, and even read to one of her classes at York. I remember, during one of my stays at that Annex apartment, marvelling at the size of their poetry collection, easily comparable to mine in terms of size and breadth, but with remarkably little overlap in terms of authors or interest. There seemed something enormously healthy, I realized, about literature to know that there was enough worthy poetry in the world that two rather large collections could exist, with almost nothing repeated (P.K. Page’s Glosas was the only title on their shelf that I would have found on my own). In June 2006, I attended their “Ten Years and Tenure Celebration” at their house, celebrating both the tenth anniversary of Priscila and Chris, as well as the fact that she’d achieved tenure at York University. As part of the event, her friend, editor and mentor Barry Callaghan praised Priscila and her work, pointing out that she not only managed to get tenure so young, and so quickly, but managed a PhD in record time, even as she published a handful of poetry collections, and a first novel with a major publisher. It can’t be overstated how rare she was for her ambition and accomplishment, especially combined with her incredible generosity towards others, whether her students or other writers, from her many peers, to a growing number of emerging writers she gave her attention to. Over the years, she visited Ottawa often (far less once her brother and his family relocated to Kingston), and her stops always included Zoe’s Lounge at the Chateau Laurier, where we ended up meeting for drinks. I remember, once, an afternoon spent there with her after a reading she at the University of Ottawa, most likely around 2009. My favourite was a year prior, when I managed to convince Priscila (and Chris, and Christine), after she’d asked where we should go, to enter the Dominion Tavern, where her first impulse was to inquire about their wine. As the very large bartender, Glen, responded: they had one kind of red, and one kind of white (they even had three wine glasses! No, wait: only two. One broke last week). She was rich with enthusiasm, generous with her attentions, and unapologetic about her opinions. Who else would have gone into such an establishment and inquire about their wine? And who else, ever, could have managed to convince anyone to allow her to be the official poet-in-residence for multiple Olympics? 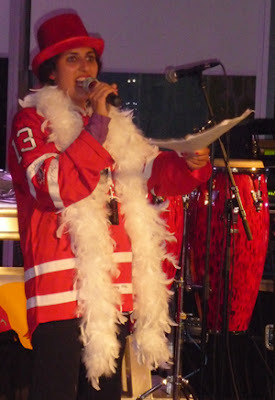 When she was first diagnosed with a rare and aggressive form of cancer, and became sick, she completely owned it; with class, dignity and openness, donning colourful wigs for appearances at the Griffin Poetry Awards, and exploring her illness through multiple pieces (including this one she wrote for the “OnWriting” series over at the ottawa poetry newsletter). She was never one to turn away from dark subject matter. Even before writing on cancer, her book about attempting to interact with her mother, who had long abandoned her and her brother and their quadriplegic father, was easily a highlight to an already impressive publishing history [see my review of such here]. Upon originally hearing her tell of her mother, well before the publication of her memoir, I was even more amazed by her, to discover that such a well-grounded individual could emerge from a history that included a parent (a children’s author, no less) who had abandoned her children. The last time we saw her was last year, when the two of them came to visit. It was nearing the end of the summer, I think. They gifted the girls two ridiculous ‘fruit ninja’ plushy toys (she said her brother’s children enjoyed them immensely), known for their “squish” sounds when squeezed. The girls tore through the yard with their toys, and Priscila kept in step with them both, as Christine, Chris and I watched from the sidelines. Once the children in bed, we stayed up far later than any of us should, and drank wine, and caught up. I don’t even know how to end such a piece. I am heartbroken for Chris, and for the tremendous loss of such a warm, generous and gifted writer and human being. She was one of a kind. 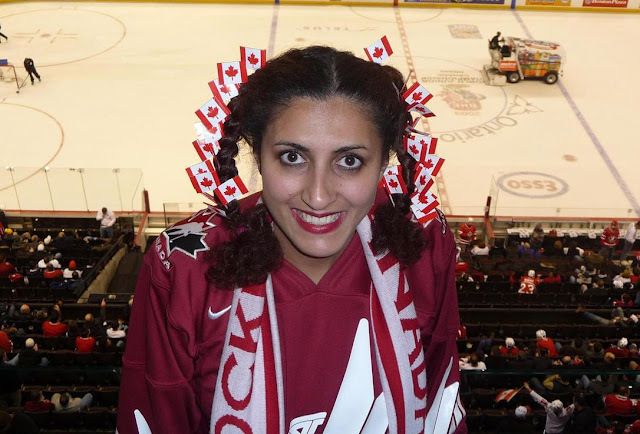 Rob, Thank you for posting this moving tribute to Priscila Uppal. This is a beautiful piece. I was lucky enough to be one of those students to whom she was so generous, and I will be grateful always. She will be deeply missed. This is a lovely tribute, Rob. She was a real sprite--and what a wonderful spirit she had. Thank you for capturing her. I'm so sorry for our loss. This is wonderful, Rob. You captured her well. She was a true original.